Albany Woodworks recently reclaimed wide plank heart pine joists from a historic warehouse located in the heart of Louisville, Kentucky. 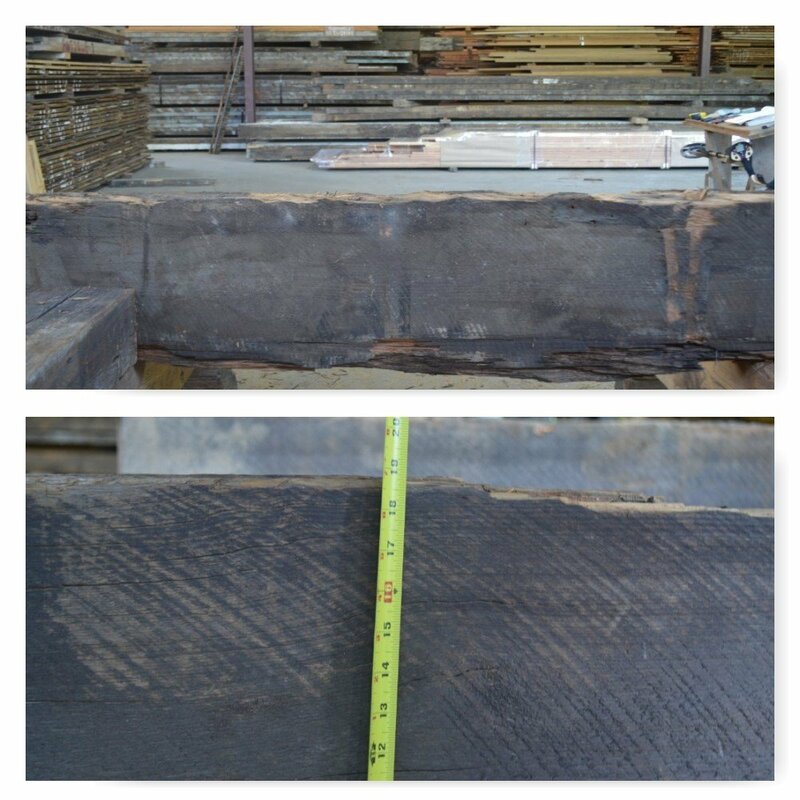 Nineteen inch wide planks from a building with a history, located on a site that helped Louisville and Kentucky get its start. 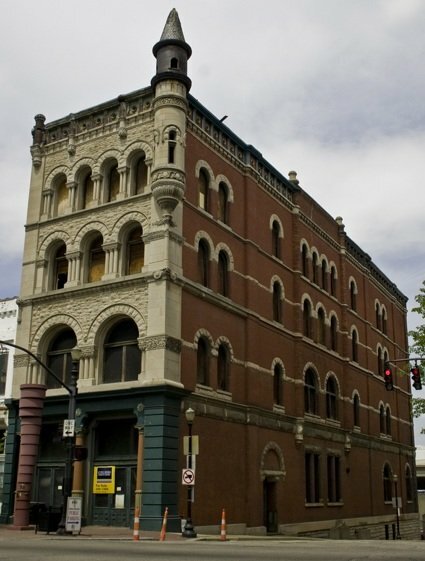 Next to a tiny park known as Fort Nelson Park located on Main Street and 8th Street lies the Fort Nelson Building, home to several businesses since its construction in the 1870’s. You may notice a theme. Fort Nelson Park and Fort Nelson Building reside on the original grounds of Fort Nelson, a 1700’s fort build toward the end of the Revolutionary War. It’s construction was completed in 1781 and it was used for about 10 years before being abandoned. It was considered one of the strongest fort in the West, with thickly reinforced wood and earth walls and ditched filled with spikes. 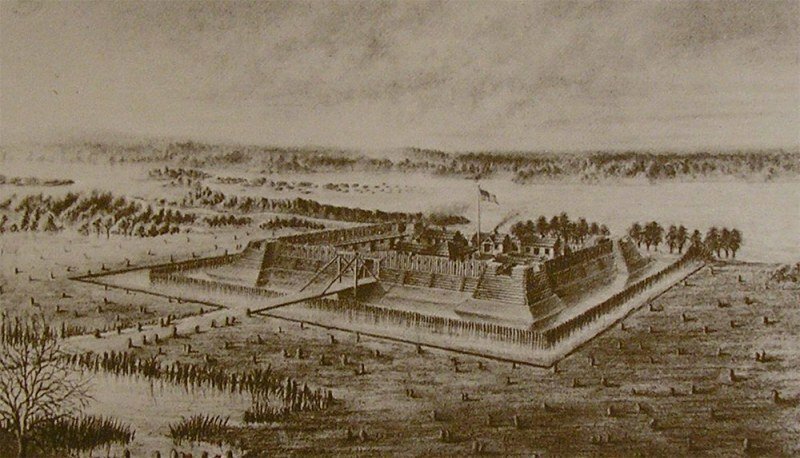 During these ten years of occupation, everything that was inside Fort Nelson’s walls was essential the start of Louisville. After the fort was torn down, Kentucky entered statehood and Louisville began to develop as a town. Warehouses and homes were constructed in the area, including the Fort Nelson Building in the 1870’s. The building, built of cast iron, limestone and brick with heart pine framing, has survived several tragedies through the years including tornadoes and floods. After laying vacant for decades, the Fort Nelson Building is receiving new life through a renovation to open a whisky distillery in the historic area. (Above) Antique nails pulled from the joists. 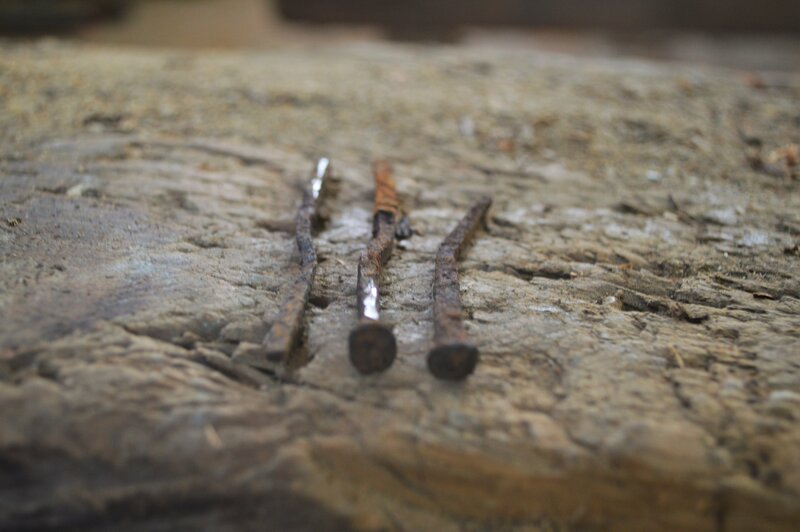 Square nails like these were used from the 1790’s-1900’s. Find out more about Albany Woodworks.